LTSupply.com - Welcome to Lexington Textile Supply, Inc. Welcome to Lexington Textile Supply, Inc.
Lexington Textile Supply is a laundry supply company providing a large variety of custom made bags, slings, carts, and laundry accessories. Satisfying customers has never been more important. In today's global economy where price, quality and service each play a vital role, these factors at Lexington Textile Supply is our customers' greatest advantage. 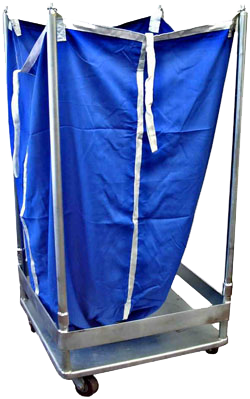 Whether it's across town, across North America, or around the world, we lead the industry with a portfolio of offerings ranging from custom laundry bags to custom metal carts. Lexington Textile Supply is the premier provider of reliable, regional, nationwide and international laundry supply service to customers large and small across the world. Copyright © 2019. All rights reserved. This is the official website for Lexington Textile Supply Inc.